We strongly encourage people of color, lesbian, gay, bisexual, transgender, queer and non-binary people, veterans, and individuals with disabilities to apply. Bumble is an equal opportunity employer and welcomes everyone to our team. If you need reasonable accommodation at any point in the application or interview process, please let us know. In your application, please feel free to note which pronouns you use (For example: she/her/hers, he/him/his, they/them/theirs, etc). 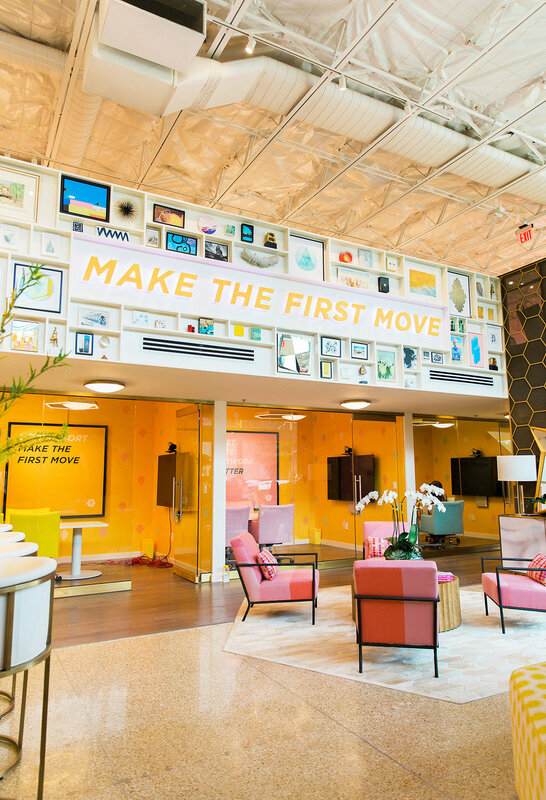 The minute you start working here, you become an integral part of Bumble and its future. Every job in our company is important. You’ll play a key role in the continued growth of our company. As you'll quickly discover, our success is based on delivering a high-quality product to our users. How do we do it? By working hard, thinking about our users' needs, and doing whatever it takes. We do it by treating each other with respect and working as a team. Our HQ is an open-plan, 7,500 square foot building in the heart of Austin, Texas. Bumble is a platform and community that creates empowering connections in love, life, and work. We promote accountability, equality, and kindness in an effort to end misogyny and re-write archaic gender roles. Bumble envisions a world free of misogyny, where all relationships are equal. Kindness: Being kind is the most important quality, and we believe it's the base of any healthy interaction, on or off our app. Respect: Our differences make us stronger. We're committed to cultivating and safeguarding an inclusive and diverse Hive. We don’t tolerate anything less than respectful behavior on our platforms and expect the same from our team. Equality: Everyone is welcome at Bumble. In our world, every person is considered equal and every voice deserves to be heard. We aim to empower everyone in their relationships so that power dynamics are never out of balance. Accountability: Both online, and offline. Holding users and the community accountable for their actions is at the root of every product and marketing decision we make as a team. We believe engineering a more accountable community of users is the key to a more respectful and kinder experience. We hold our users accountable for their actions, and we want people across the globe to co-exist online without hate, aggression, or bullying – or any bad behavior. Growth: Growth is healthy. It’s how we continue to reach our goal of sharing our vision with the world, and it’s how we create a more progressive tomorrow. Are you the perfect match? Take our values quiz! The Hive is simply buzzing due to your interest in Bumble! Our hiring team will reach out to qualified applicants via email if they are invited to move forward in the interview process. Most open positions follow the process below; however, you may additionally be asked to provide other details or complete role-related tasks throughout the journey. If you're not selected to move forward with your application, we encourage you to continually keep up with new opportunities posted to the Bumble job board that may be a better fit. Due to the volume of applications we receive, we cannot guarantee that you'll receive an update if not selected to advance to a phone screen. We deeply appreciate your time and interest in Bumble, and thank you for your support. Bumble COO Sarah Jones Simmer Describes Her Office as “Candy Land” For Babies.